Ts transcription (3pp) of an interesting letter written when he was serving as a lieutenant in the battleship HMS QUEEN ELIZABETH and describing a tour of the Gallipoli battlefields and cemeteries which he made in August 1925 in the company of General Sir Ian Hamilton, Admiral of the Fleet Lord Keyes and Brigadier General C F Aspinall (the official military historian of the Gallipoli campaign), with some comments on their reactions to the principal features of the fighting. Detachable badges in metal or cloth are a key element of military uniforms. They can be worn on a cap, collar, shoulder, arm, or cuff. They can be stitched, or attached with brass pins or ‘sliders’. 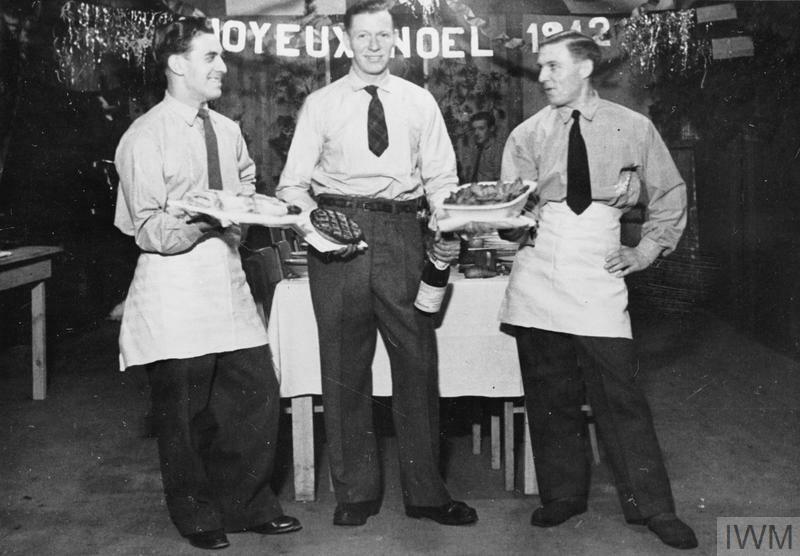 © IWM (HU 20951) Three French POWs smile for the camera as they hold up their special Christmas food at Stalag Luft III, Sagan, 25 December 1942.